The Spanish Praxis™ exam is designed for teachers who are interested in teaching beginning Spanish courses. Spanish Praxis may have multiple-choice exercises that one can submit for grading. The Spanish Praxis™ exam, more accurately known as the Praxis II®: Spanish: World Language exam, is one of many American teacher certification exams. It was designed for teachers who are interested in teaching beginning Spanish courses and includes questions covering Spanish culture, reading comprehension, grammar and listening skills. You'll need to have a good understanding of Spanish vocabulary, pronunciation, sentence structure and culture to do well on the Spanish Praxis™ exam. Flashcards, textbooks, practice questions and practice with native Spanish speakers are useful tools that can help you score well on the exam. The first content area of the Spanish Praxis™ exam covers your listening skills and involves listening to CD recordings of native speakers. After you hear the recording, you'll be asked questions about what was said. It's useful to watch online videos of native Spanish speakers or talk to Spanish speakers in person to get used to the sounds of the language. You'll also be asked to listen to recordings of other students and to check for errors in their conversational skills. Watching online videos of novice speakers and practicing with other students can help you identify mistakes and improve your comprehension. Grammar topics fill the second content area of the exam and consist of written excerpts and questions on grammar, vocabulary and syntax. Many study guides are available that review grammar topics and include exercises to help refine your grammar skills. In addition to study guides, websites dedicated to high school and college Spanish sometimes have multiple-choice exercises that you can submit for grading. The results usually appear automatically and may also include tips on why the answer is correct or incorrect. If you need extra help memorizing vocabulary, try writing difficult terms on flashcards. Interpretive reading is the third content area of the Spanish Praxis™ and requires you to read paragraphs. You'll then be asked questions about how the material should be organized, how sentences relate to each other and how the excerpt can be improved. 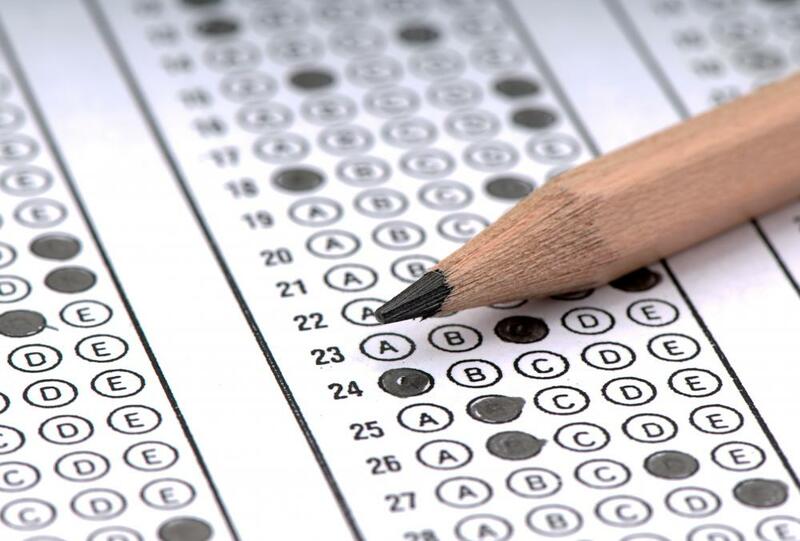 Practice tests are the best source for scoring well on this section of the exam and include various types of excerpts for you to analyze. By answering the practice questions and becoming familiar with the types of excerpts, you'll feel more prepared on the day of the test. The final content area covers your knowledge of Spanish life and culture. Covered topics include Spanish literature, societies, geography and history. Textbooks and websites dedicated to Spanish culture are excellent resources for this content area of the Spanish Praxis™. What Are the Different Types of Grammar Courses? What Is Involved in Grammar Training? What Is the Relationship between Grammar and Vocabulary? How do I Choose the Best Praxis Study Guide?